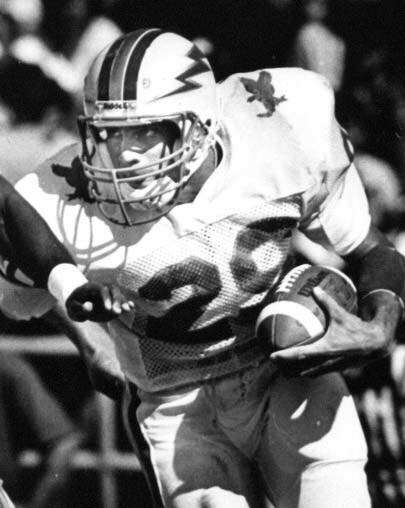 Air Force’s Scott Thomas, an All-American senior safety in 1985, will join his coach from that standout season in the College Football Hall of Fame. The hall announced its 2012 enshrinement class Tuesday; Thomas, who intercepted six passes and had 89 tackles in his senior season, joins a 17-member class that includes NFL legends Art Monk and Dave Casper, Heisman Trophy winner Ty Detmer and coaches Phillip Fulmer, Jimmy Johnson and R.C. Slocum. Thomas’ coach at Air Force, Fisher DeBerry, was selected for enshrinement last year. Chad Hennings, another Air Force defender on that 12-1 1985 club, was inducted in 2006. This year’s inductees will be enshrined in July as part of a two-day event at the Hall of Fame, located in South Bend, Ind. Thomas was inducted into the Air Force Academy’s Athletic Hall of Fame last year: Catch video of Lt. Col. Thomas’ acceptance speech here and read an article from his hometown paper on that induction here.